Dynamax manufactures drivable motorhomes with stylish outward appeal and luxurious interiors. Whether you frequent the RV parks in Southern California or live on the road full-time, Dynamax RVs offer comfort year-round. Available models include the Dynamax DX3, Dynaquest XL, ISATA 5, ISATA3, and ISATA4. At our locations in Boise, ID and Westminster, CA, Dennis Dillon RV Marine Powersports offers an impressive selection of recreational vehicles, including 22 new Dynamax RVs. Explore our inventory below! If you find a model you like, complete our credit application to get started! Why Buy a New Dynamax RV from Us? 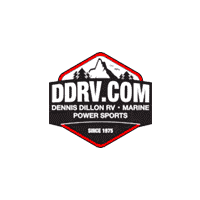 Dennis Dillon RV Marine Powersports offers one of the most diverse and impressive recreational vehicle inventories in our local area — and beyond! There’s a reason shoppers from as far as Salt Lake City, UT and Seattle, WA visit us for models like the Dynamax Dynaquest XL or ISATA 5. Additionally, we offer a revolving door of new and pre-owned RV specials drivers from Nampa, ID and Los Angeles, CA can browse. If you have questions about our Dynamax inventory, contact us today!